The consumption of packaged food and drink is expected to reach over 953 billion packages by 2020! Delivered from stores or warehouses into consumers’ homes, branded food and drink packaging has never been more important. Ensuring a shelf space for your products across a range of physical and digital channels is a fundamental part of every retail and e-commerce operation. As is delivering the goods safely. Here at Castle, we understand that getting things right first time is vital and having the perfect package from store to door is a key part of any business. From easy-to-open packaging, to memorable first impressions, packaging food and drink correctly can add real value to a product. 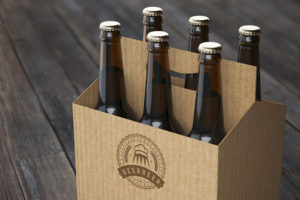 Packaging has and continues to develop to cater for convenience and reduced environmental impacts, alongside offering a unique branding opportunity for every product. At Castle, we offer a holistic range of packaging solutions, proven to get your products noticed, delivered safely and fully protected, whilst improving your overall packaging operation. We can create the eye-catching packaging that will get your products noticed and ensure maximum appeal. There’s huge potential for branded food and drink packaging, and although quite complex in nature, here at Castle we can design and supply the outer packaging that will protect your products during transit and focus on the power of your brands. From retail-ready to shelf-ready packaging, we’ll make sure your brand gets noticed. Throughout every part of the packaging process, we can highlight and showcase your brand, raising product and brand credibility and creating lasting first impressions that ensure your customers return to place further orders, while meeting the necessary safety regulations and guidelines for your specific products. At Castle we offer the complete packaging solution in a range of quantities, from small to large, we can offer the solution that matches your requirements and that of your products. Use our enquiry basket to find your complete packaging solution. 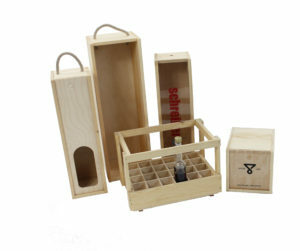 Wooden boxes – these not only provide extra protection to the product but add value to the brand. Ideal for bottles of wine and spirits and other beverages, as well as jars of jams and relishes, cheeses and chocolates, etc. Bespoke options are available, which can be branded with your logo or stained to increase the appeal. Cardboard boxes – these can be used to hold the goods at point of sale, printed with full products details, corporate branding, health information, and include display windows all to make it stand out on the shelf. In addition we supply all the outer packaging which will protect this point of sale packaging in transit – this can be printed as appropriate to enhance your brand throughout its journey. Ancillary packaging – from product labels to mailing bags, tape, and tamper evident products, we provide the complete packaging solution that’s quick to pack and offers ultimate protection. At Castle, we understand the need to deliver well and ensure the wow factor every time. That’s why we’re confident our packaging will ensure your customers will want to place a repeat order from memorable first impressions to speed and ease of delivery. Talk to us today and discover your perfect packaging solution.